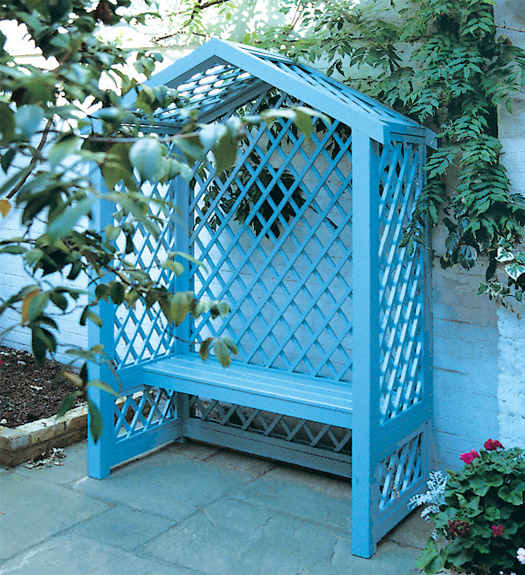 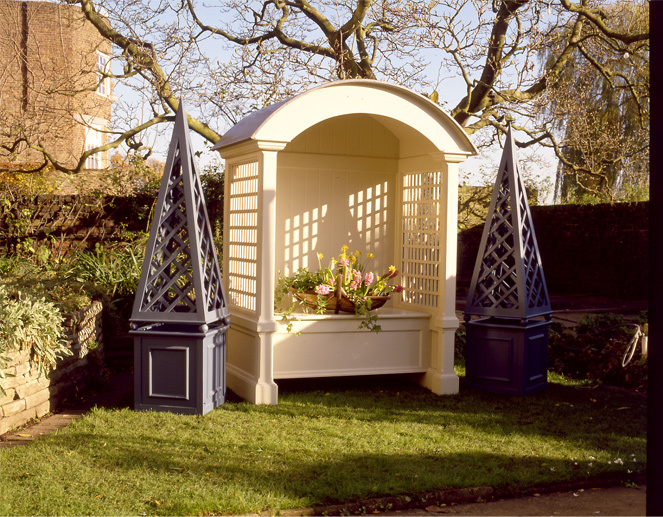 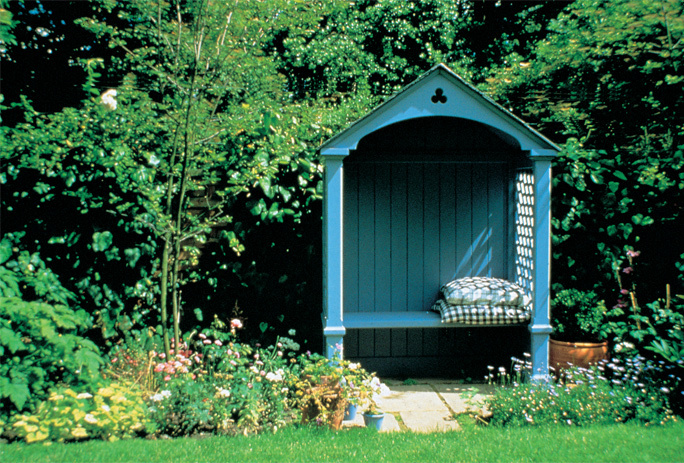 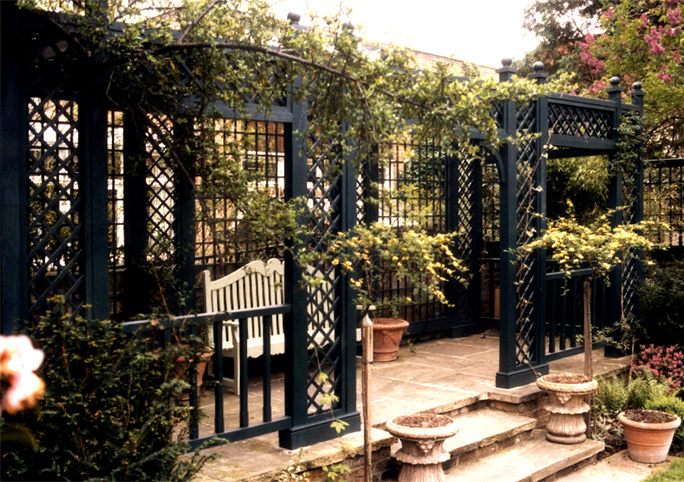 Lloyd Christie Seating Arbours or covered trellis seats are better suited to smaller town gardens where it is not possible to have a gazebo. 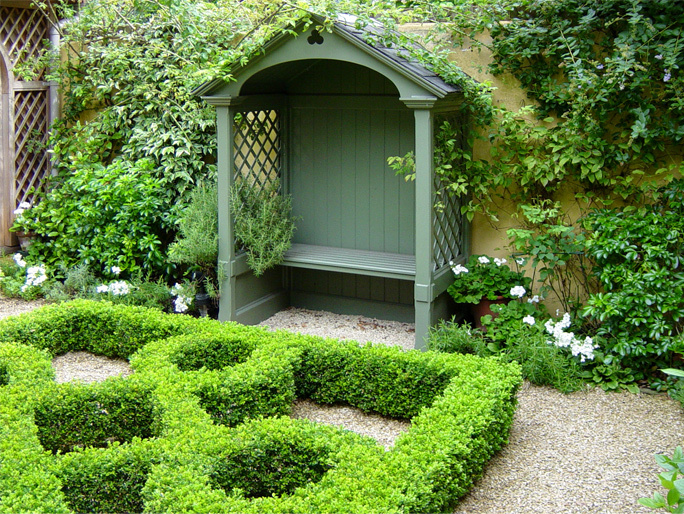 In many ways arbours serve the same purpose as gazebos, which is to create a focal point in a garden and offer an attractive retreat. 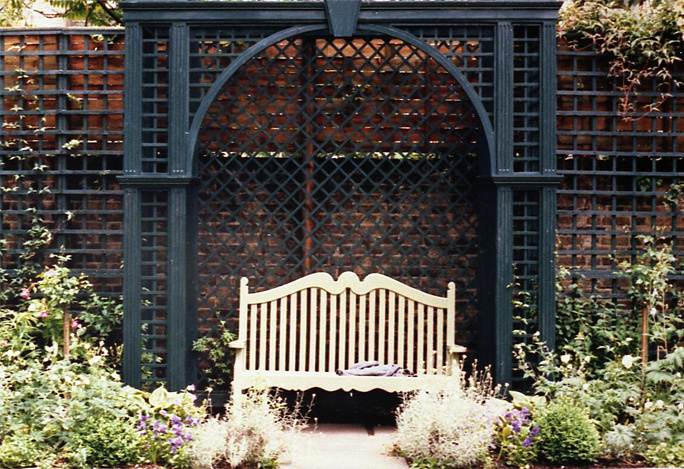 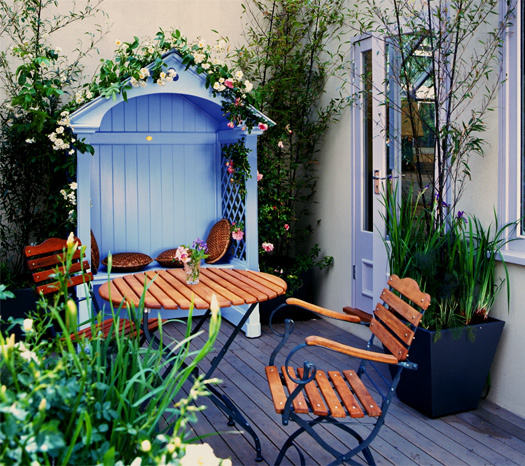 The main difference between the two types of structure is that Seating Arbours are almost always placed against a wall, even when used in larger gardens. 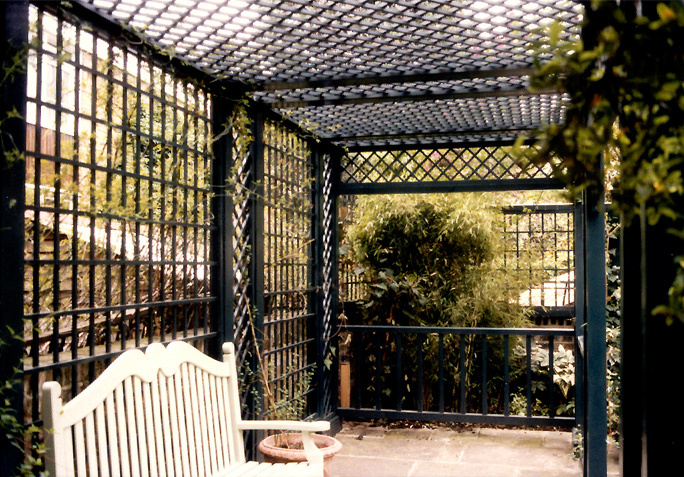 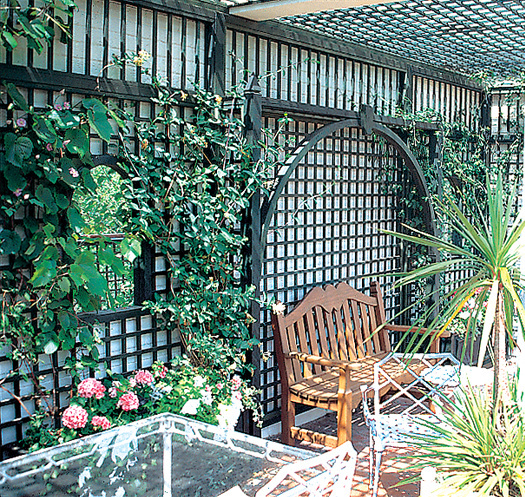 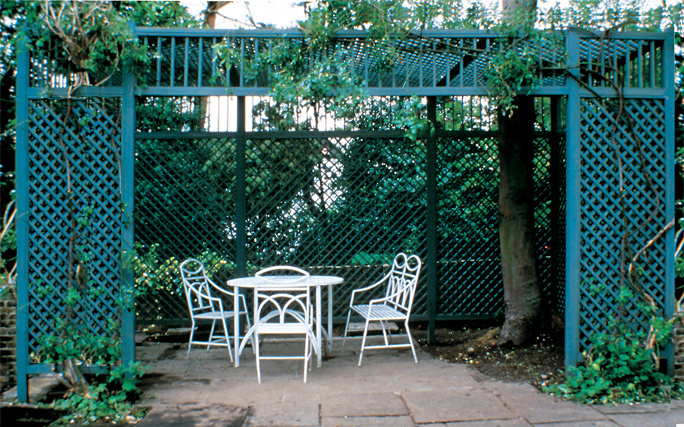 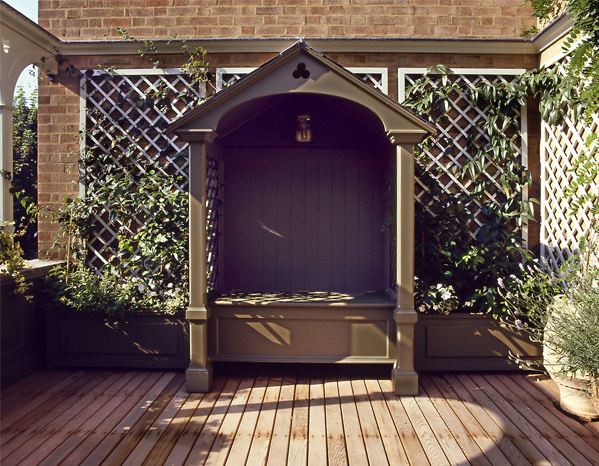 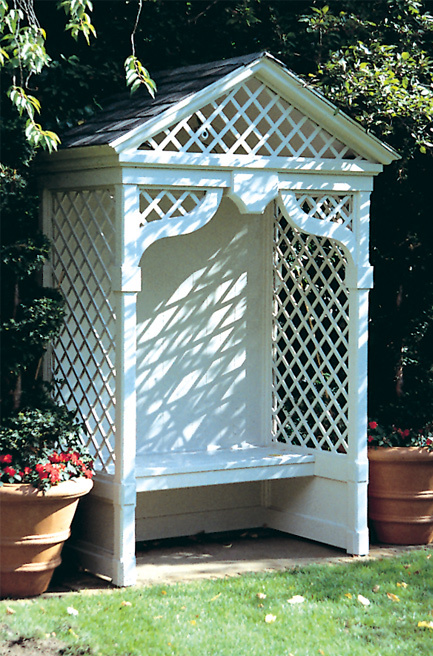 Covered trellis seats can be designed just deep enough to position a bench between the front posts, or made large enough to accommodate a full dining table. 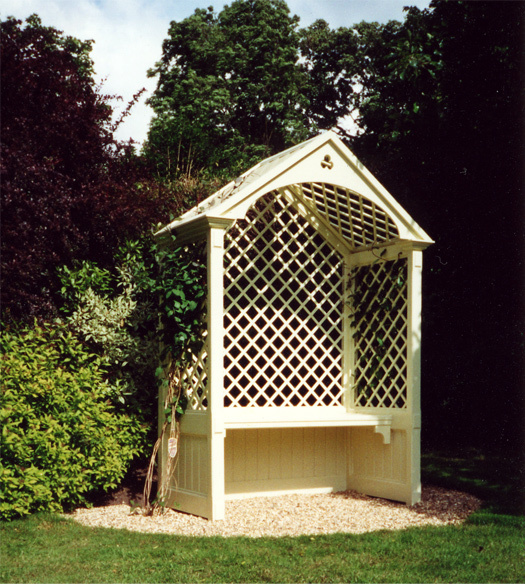 Similar in function to a pergola, a trellised roof will allow broken light to penetrate through to the seating area below. 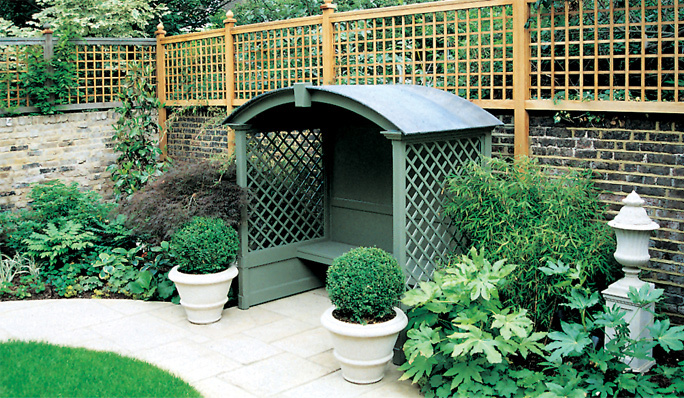 A useful addition to Seating Arbours is the option to incorporate a storage box into the seat.